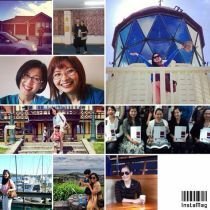 Looking for open job hiring opportunities abroad? Look no further! 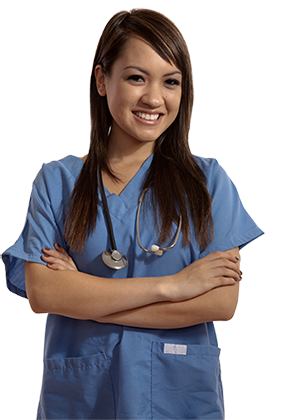 job opportunities for skilled workers and other health care professionals. Australia, New Zealand and UK, we’ve got it covered. Thank you for being part of fulfilling my Canadian dream. You were indeed a great help. Spending White Christmas is a dream come true. My husband Kim and I were delighted knowing that I was your first client to fly in this beautiful place Quebec Canada. Lord, thank you po for the blessings na binibigay nio samin. Nothing is impossible talaga basta't may faith kay God. Kudos po sa inyo Ma'am Dana, Ma'am Bev at sa lahat ng bumubuo ng Aureus Manpower & Consultancy Group, you helped us reach our dreams. Napakamemorable po sa amin tong pagkakataon nato. 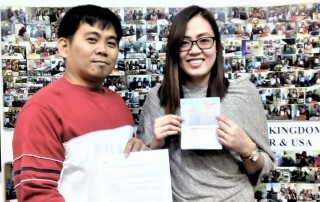 The Philippines’ Premier Manpower Recruitment Agency and the Most Admired Visa and Immigration Consultancy rolled into one. We offer the fastest and most efficient job programs abroad. 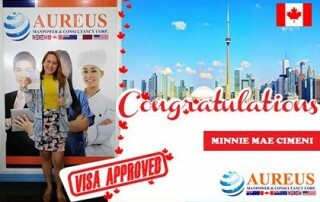 We are also a visa and immigration consultancy, highly committed to provide assistance in the processing of requirements and crucial information about Student Visa acquisition for both skilled workers and professionals going to USA, New Zealand, UK, Canada, and Australia..
A consultancy agency with POEA approval is really hard to find nowadays. That is why we hurdled the stringent requirement on capitalization and tough documentations by the POEA to credibly serve you. This, we consider as our competitive advantage. 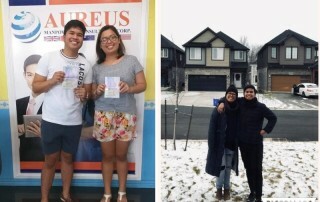 After 6 years, the consultancy part of Aureus has expanded to include several offices in the Philippines, including Quezon City, Manila, Davao and Naga City.